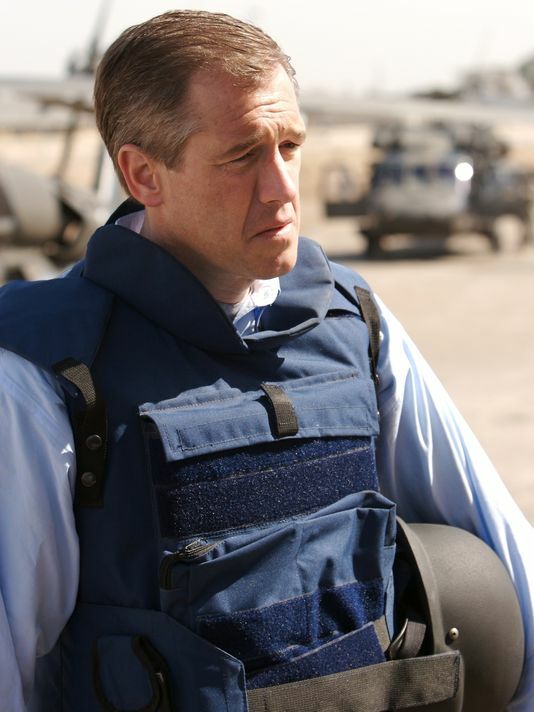 According to one survey, 80% of American viewers think Brian Williams should lose his anchor seat for repeating, and gradually enhancing, a self-aggrandizing war story. Is this a case of false memory, or did Williams know what he was doing? The same question can be asked of Hillary Clinton. Was her campaign story about scurrying across a Bosnian tarmac under sniper fire spun from whole cloth to win votes, or was that the way she actually remembered the incident? Confronted with video footage showing her striding confidently with a smile on her face and a song in her heart, Clinton immediately backed away from her dramatic account. Moreover, confidence in false-memory reports tends to grow over time, while confidence in true-memory accounts gradually fade. This element of reward and punishment helps explain the odd memory lapses experienced by Williams and Clinton, public figures who should have known their recollections would be subjected to empirical verification. Brian Williams’ and the NBC Nightly News have been locked in a tight viewership race with ABC World News, with ABC making strong gains within the highly-prized 18-49 demographic. Anything an anchor can do to enhance his credibility and charisma will be done. 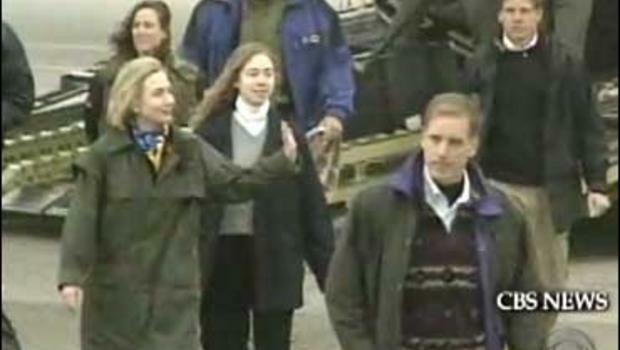 Hillary Clinton crossing the Bosnian tarmac under sniper fire. Hillary Clinton conjured mythical Bosnian snipers in the midst of a tightly contested primary race with Barack Obama. Deadly peril in Bosnia boosted her credentials as a foreign policy expert. Neither Clinton nor Williams created false memories out of whole cloth. Both public figures have brushed up against the chaos and calamity of war; they have witnessed wounded soldiers, burned out buildings and the rattle of sniper fire. In an environment that pays big dividends for striking personal accounts of near-death experiences, public figures “remember” things that didn’t happen but which, given the circumstances, could have happened. Once these personal accounts are shared publicly they seem much more real to the storyteller and this effect grows with each subsequent iteration. So, when Brian Williams retold, and enhanced, his helicopter-hit-by-RPG-fire story on the David Letterman show, it didn’t feel like a lie. It felt like the truth. Almost. Only when conflicting accounts pile up does the bold facade of false-memory begin to crack. Faced with overwhelming evidence that he got it horribly wrong, Brian Williams doesn’t want to say “I lied to make myself look like a hero, and I’m sorry.” That’s not the way things feel from his perspective. Unfortunately, anything less than this kind of mea culpa sounds really lame to the viewer who doesn’t understand the dynamics of false memory. But there is something more sinister than false-memory at work here. Brian Williams and Hillary Clinton are both cogs in the machinery of American empire. Americans disagree about everything but the need to continually stoke the military machine that protects our lives and makes the world safe for democracy. Americans don’t do much for the soldiers who return, broken and bewildered, from our military misadventures, but while they’re in the line of fire we can’t praise “our men and women in arms” too highly. Clinton and Williams wanted to associate themselves with armed conflict because Americans are unfailingly impressed by that sort of thing. Cronkite was one of eight journalists selected by the United States Army Air Forces to fly bombing raids over Germany in a B-17 Flying Fortress part of group called the Writing 69th, and during a mission fired a machine gun at a German fighter. He also landed in a glider with the 101st Airborne in Operation Market-Garden and covered the Battle of the Bulge. How can Brian Williams, or his current competitors, compete with that? How can Hillary compete with JFK’s PT-109 hagiography? They can’t. So they make the most of what they’ve got, and when it doesn’t sound quite good enough, false-memories emerge to fill the resume gap. That’s the way the mind, and modern America, works. Before I get too high and mighty, let me share my own painful admission. My wife and I have been working our way through six seasons of Sons of Anarchy, an over-the-top (but brilliantly produced) cable drama about a California motorcycle gang. It’s actually a morality play; a cautionary tale about living and dying with the sword. Like The Sopranos, the show forces us to love deeply flawed characters. But impressive production values and high moral purpose aren’t enough to stay ahead of the competition, so we have been exposed to oceans of sleaze and genuinely shocking violence. The other night, when the boys were riddled by drive-by machine gun fire for the 47th time this season, I found myself laughing out loud. Verisimilitude had vanished. It was too much. But the producers obviously think that if they don’t keep the mayhem coming they can’t hold the viewers. The bar, in the world of American popular entertainment, is constantly rising. In a similar vein, I watched Katy Perry’s half-time show at this years Superbowl. My interest was largely piqued by an idiot preacher predicting pure, unmitigated evil from the ex-Christian singer. Was Katy going to be flashing satanic signs while bathing in the blood of seven virgins? Not so much. We didn’t even get a wardrobe malfunction. 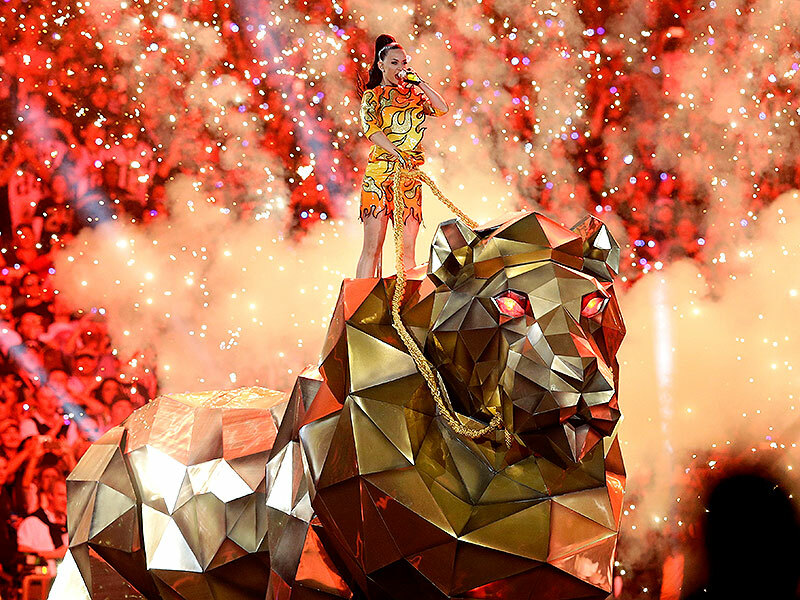 Instead, Katy rode into the stadium perched atop an enormous mechanical tiger while belting out her biggest hit, Eye of the Tiger (get it?) Somebody invested months of labor on that tiger and it probably cost several million dollars to perfect, but, one verse and the chorus later, Katy was on to the next special effect. Fans roared (why, I wasn’t quite sure) as Ms. Perry jiggled and gyrated through a series of hits backed by a cast of thousands. And whoever headlines next year’s halftime show will have to top that. Rarely has so much sound and fury signified so little. I wasn’t shocked by Perry’s performance, I was bored. If you have never seen fireworks, a good display can be mesmerizing. But when fireworks are a constant feature of life, they get irritating. Maybe that’s why Perry appeals to young girls who, blessedly, haven’t been jaded, and numbed, by pop culture. Brian Williams and Hillary Clinton live with the temptations that come with a can-you-top-this world. They succumbed. We all succumb (I am still watching Sons of Anarchy after all). This year’s Superbowl is a case in point. No one could celebrate the gritty play of the Seattle Seahawks because they passed when they should have run. One of the most spectacular, and improbable, catches in the history of NFL play was quickly forgotten because, moments later, an anonymous defense back jumped a route and wrecked the plot. The Seahawks had to win or they were just another bunch of losers. In America, as Vince Lombardi put it, winning is the only thing. There can be no grace in a culture shaped by competence, success and control. Subconsciously,Brian and Hillary knew that. Nobody is allowed to critique the fundamental premise under-girding our shock-and-awe society: the notion that success, peace and prosperity demand an unending round of heroic, and unavoidably violent, exploits. Winners rock; losers just lose. Here’s the thing, our can-you-top-this culture is the perfect antithesis of the gospel Jesus is perpetually sponsoring in our world. It’s okay if Brian’s helicopter didn’t sustain RPG fire. It’s okay if Hillary wasn’t subjected to sniper fire. Get off the mechanical tiger, Katy, and sing us a real song from the heart. Let’s be grateful to the Seahawks and the Patriots for putting on an amazing show. We can’t all be winners, but we can all be real, right? Hillary, Brian, and Katy would suggest otherwise. In America, under the prevailing rules, you’ve got to fake it to make it. When losing isn’t an option, the truth is for losers. America becomes an interminable unreality show where winners are celebrated and we all lose. Keith Stewart thinks this column is brilliant. It sounds to me it is excusing Williams and Clinton for lyiing. Could it be because they are Democrats? Would Republicans get the same pass? But then, it’s less likely to catch Republicans in bald face lies. I don’t see where he lets them off the hook. I felt they were still guilty, after reading all of it. What Alan would do with two Republicans is an unknown at the moment. We could ask him to find a like example with them, though I think he’d do the same. Is Williams really a Democrat? While we’re at it, somebody turn off the lights at Faux News, where distorting the truth has become a huge ratings success and the most serious blow to honest reporting in the nation’s media history.